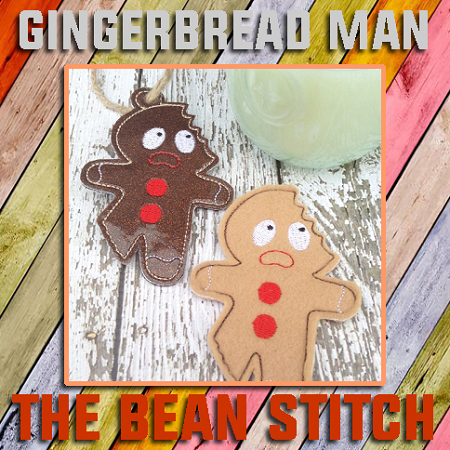 Gingerbread Man - TWO design options included! I would think of a clever description if I could stop giggling over these guys. Can be used as a "paper doll" (as shown in felt) by skipping the ornament ring step.